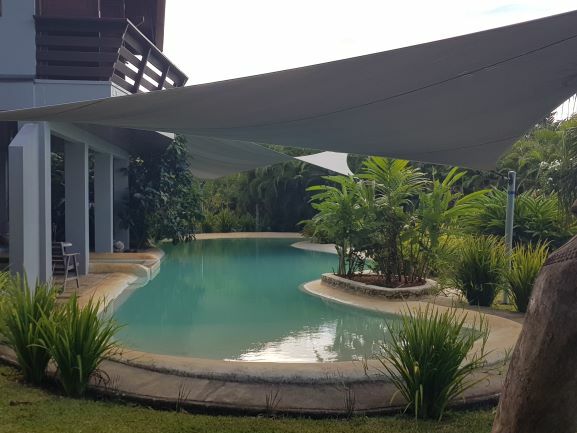 A Shade Sail, offers protection from the sun. 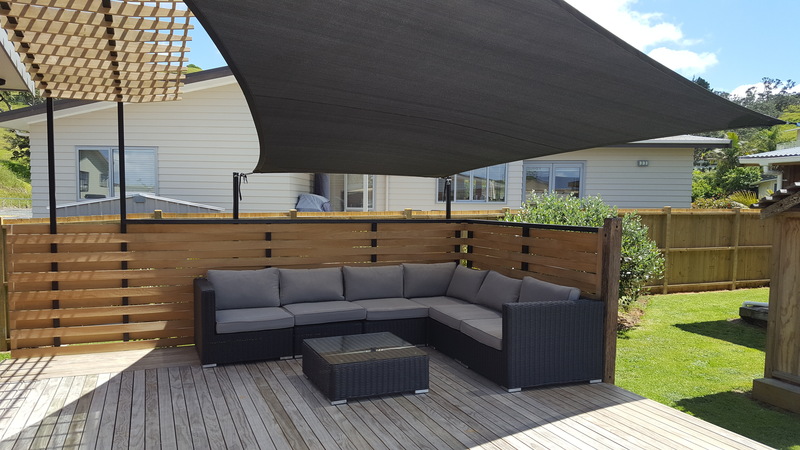 John Hewinson Canvas in Whangarei are Northlands leading design and manufacturers of Shade Sails for homes. 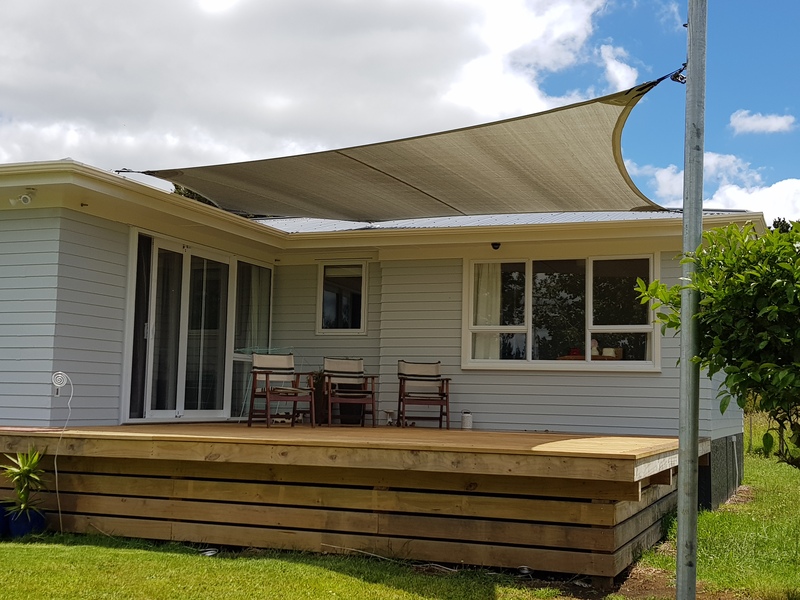 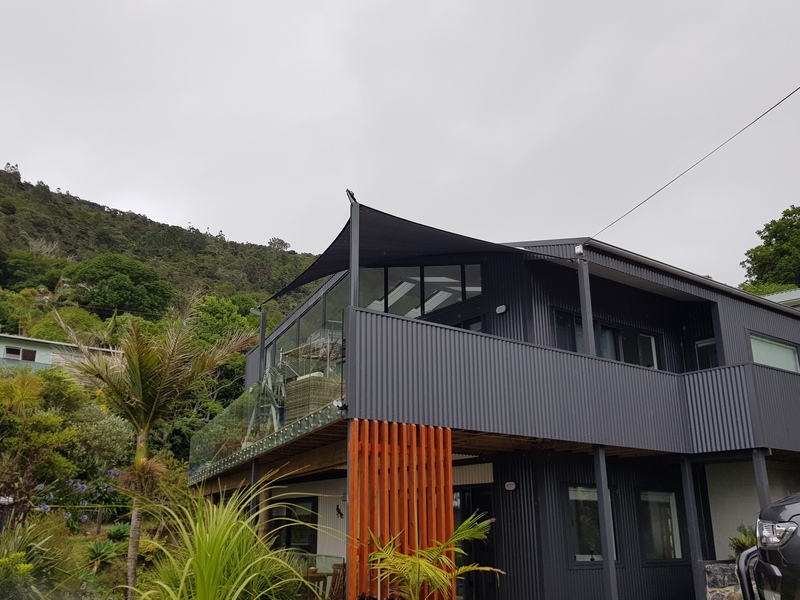 It’s all about being outdoors in New Zealand, and a Shade/sun sail for your outdoor living area is the perfect way to be outside. 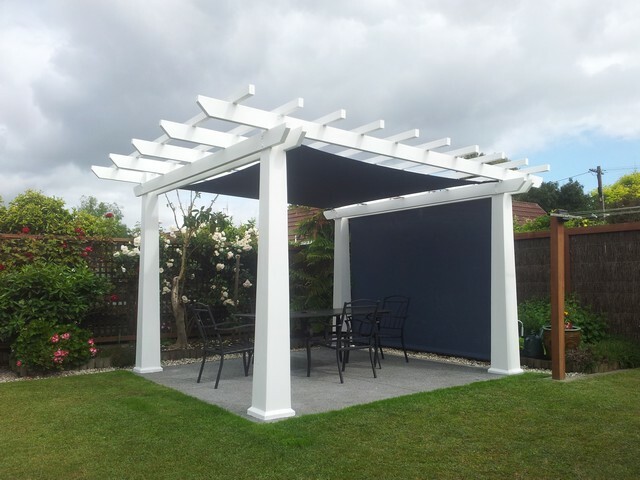 These are custom made to fit your area and your requirements. 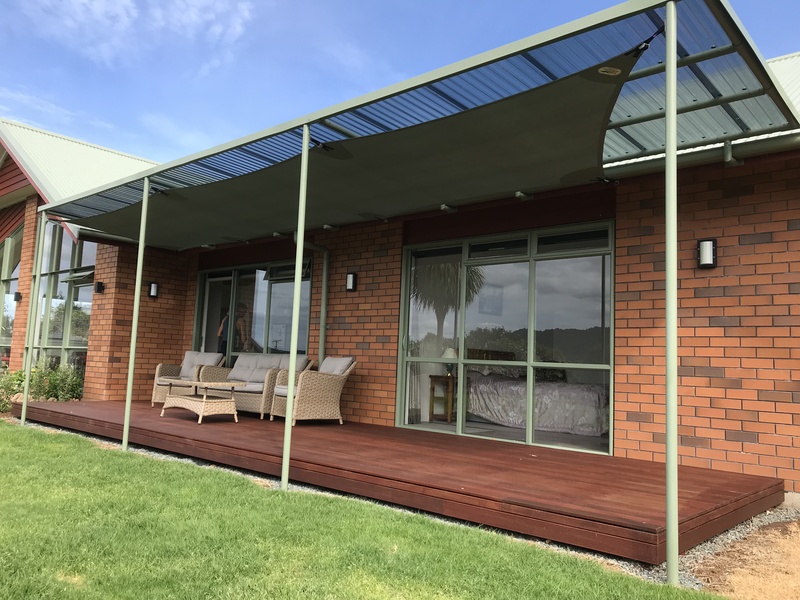 We only use quality material and quality fittings. 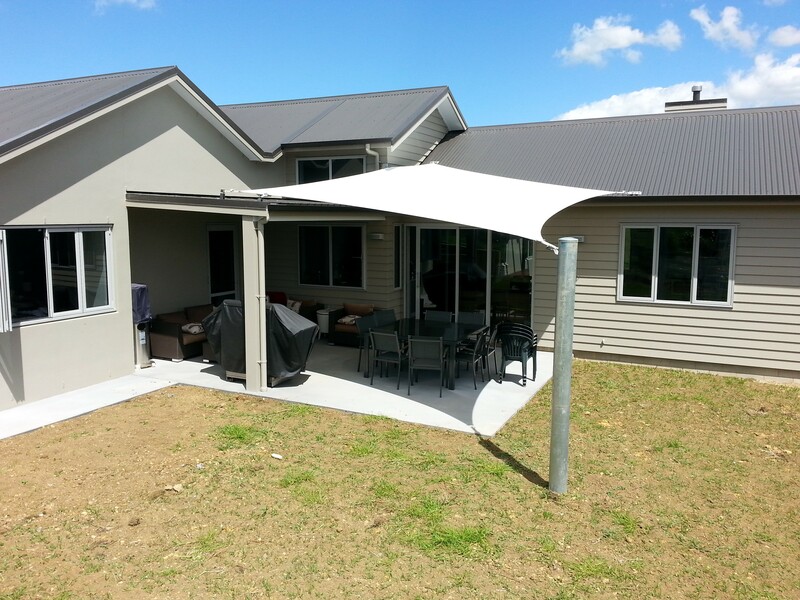 Shade/sun sails provide up to 98% UV blockout, making it safe for you and your family to be outdoors. 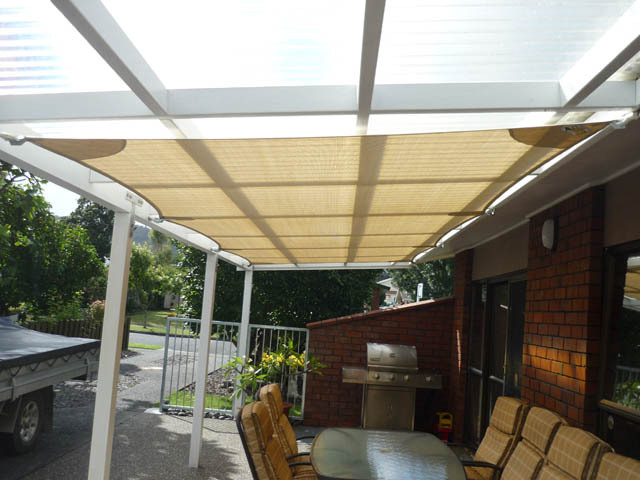 Shade Sails are a great way to protect children while they are outside playing. 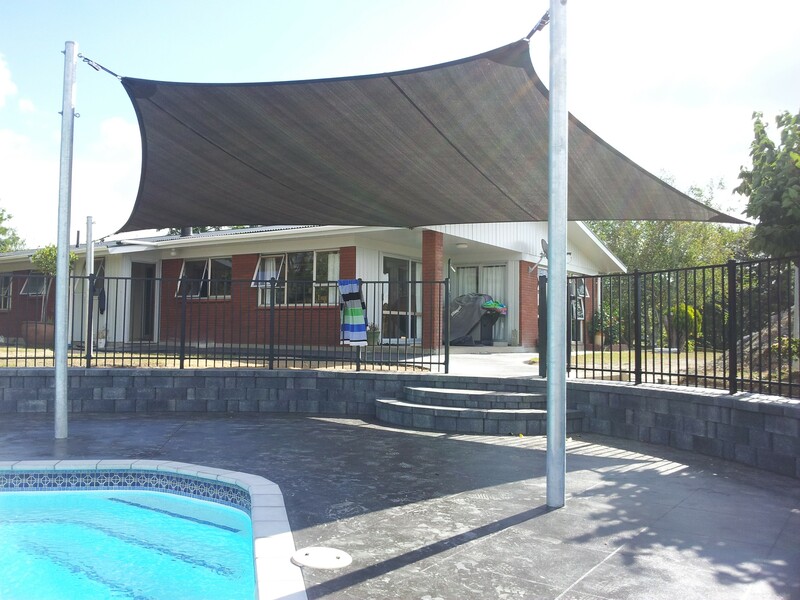 Why not consider installing one around a pool area or over the childrens outdoor playground. 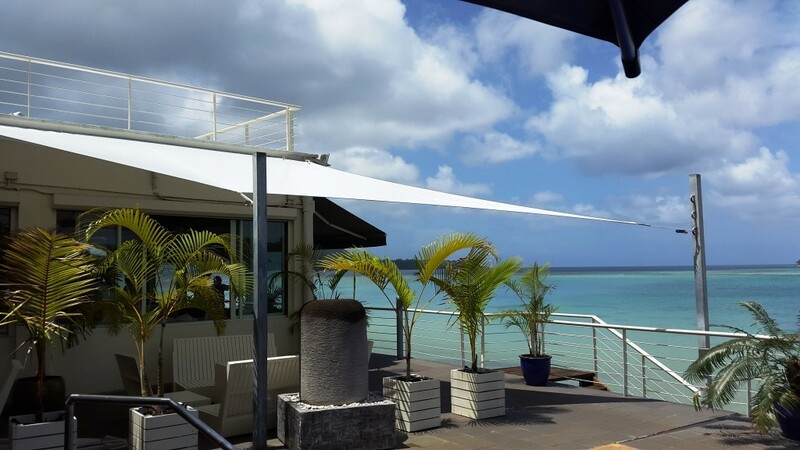 These quality Shade Sails will last at least 10 years. 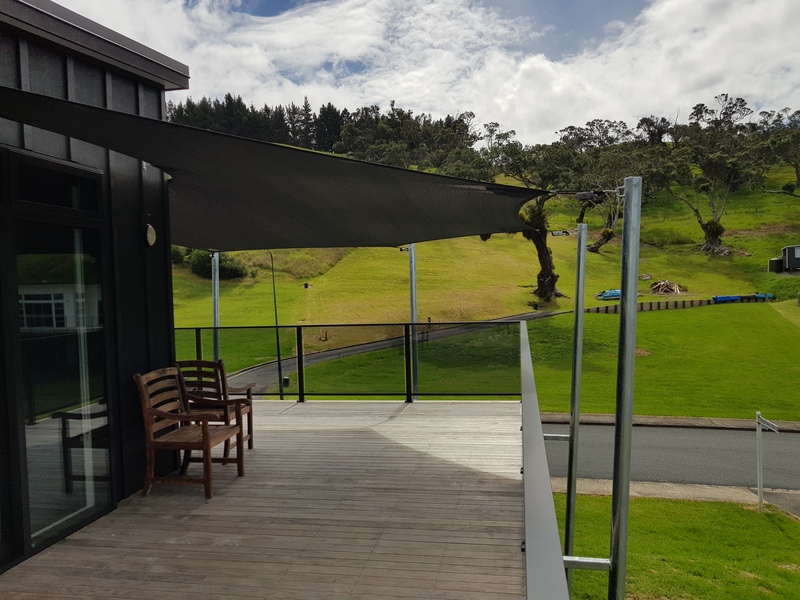 As we take pride in designing a Shade Sail that is aesthetically pleasing, your outdoor area will be a fantastic place to entertain your family and friends. 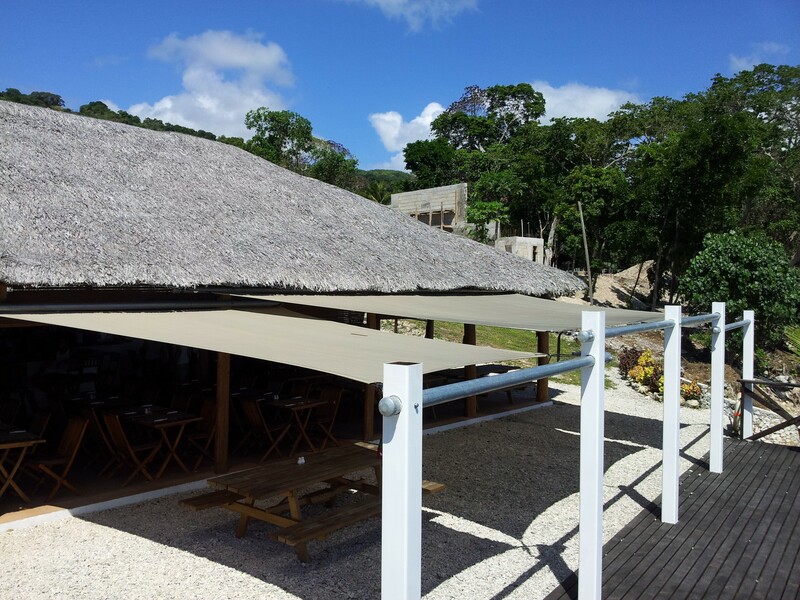 We make Shade Sails easy for you to install and take down. 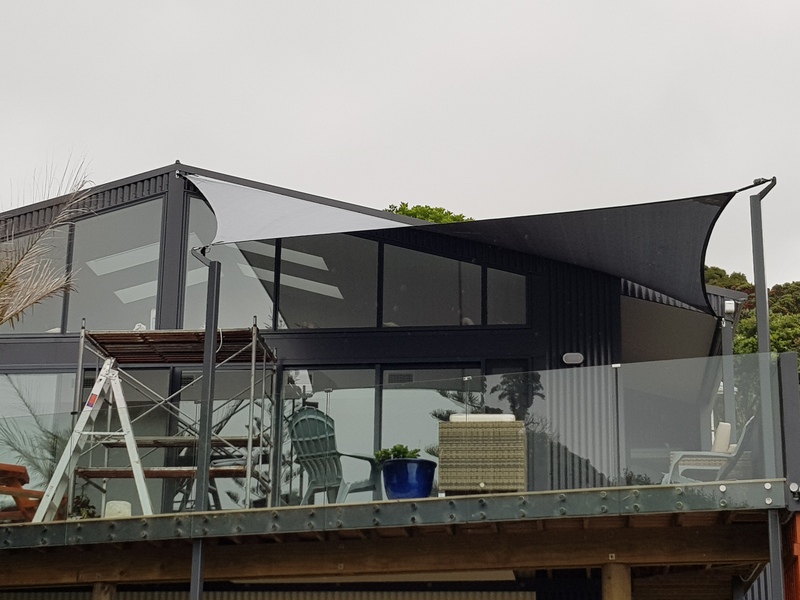 You may want to store them over the winter time. 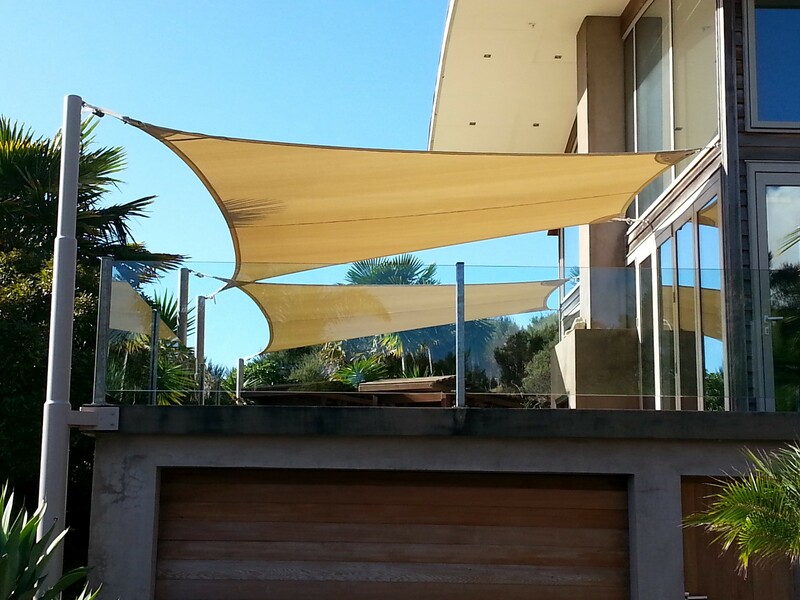 We also recommend they be taken down in extreme wind conditions. 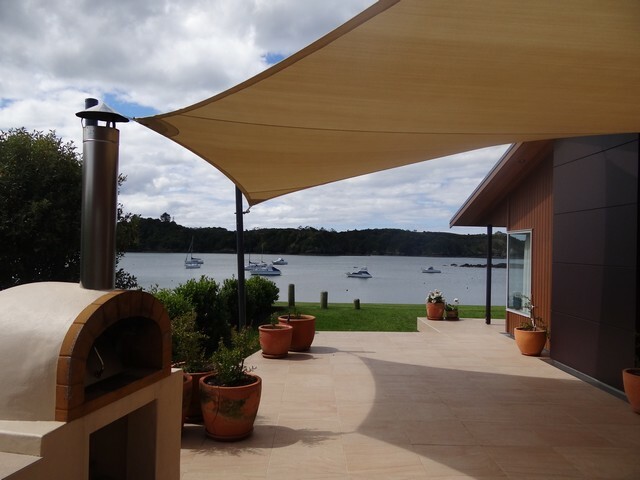 With a huge range of colours you can choose from, your Shade/sun sail will be a fantastic asset for your home. 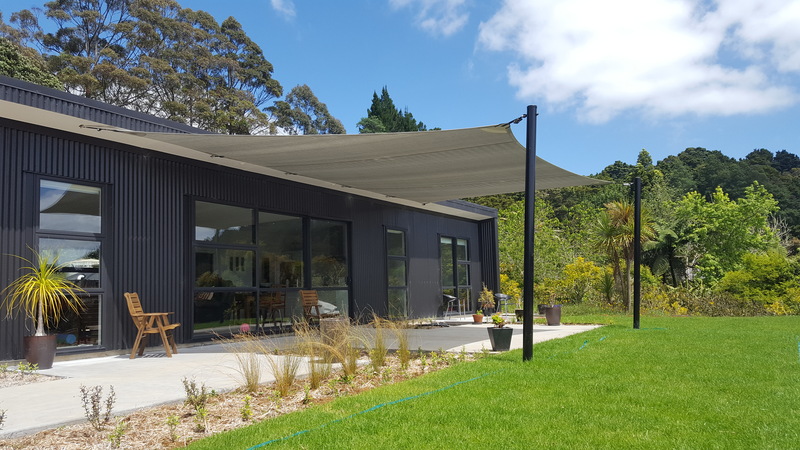 Contact us to arrange your free design and measure. 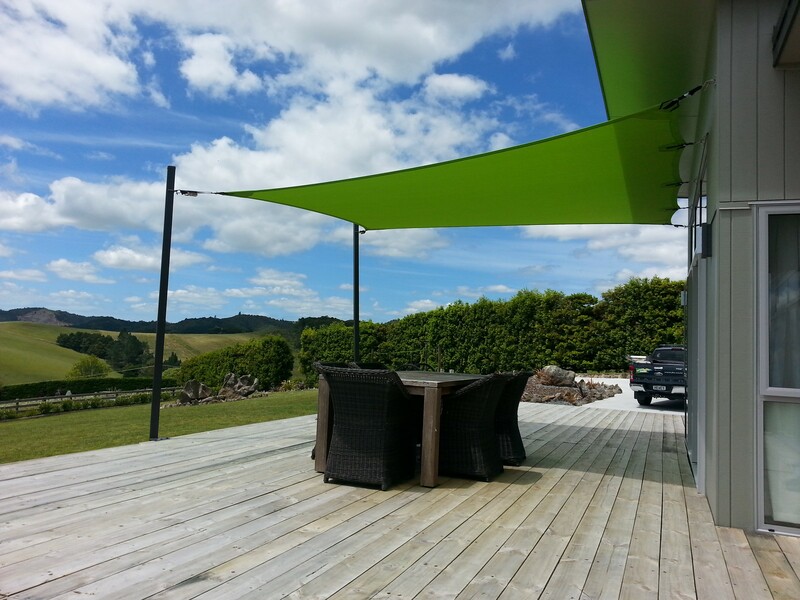 This outdoor area was hot and bright, installing a Shade Sail solved this problem. 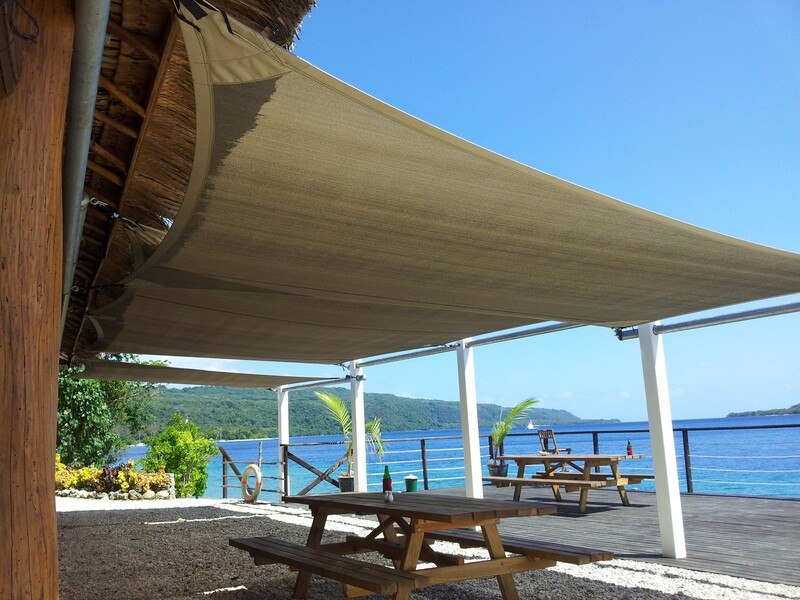 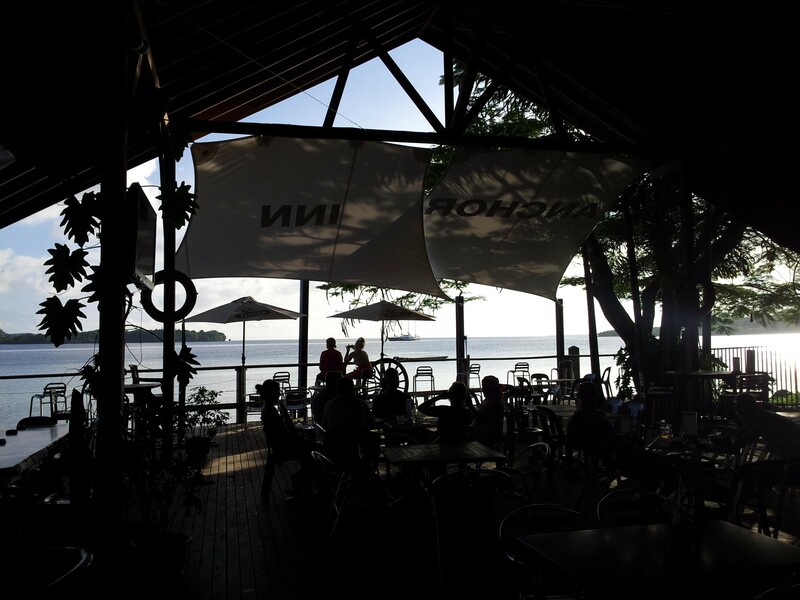 Two shade sails at the Eagles Nest in Russell. 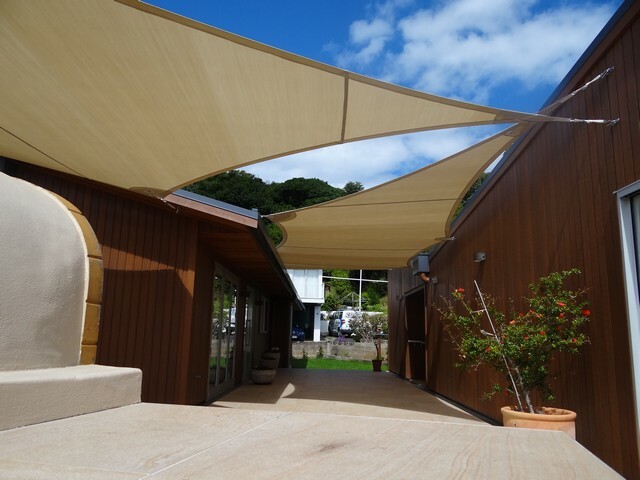 These shade sails provide sun protection as well as some weather protection in the access way between buildings. 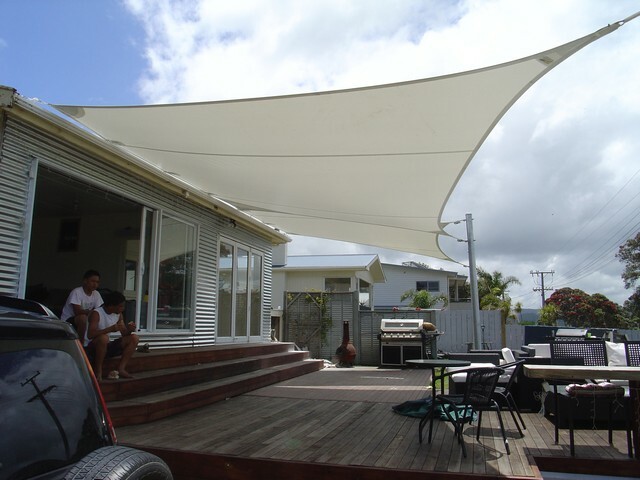 Strong brackets made this second storey Shade Sail secure.